There's been a discernible decline in the President's job approval ratings in the West and Midwest, according to 2013 Quinnipiac swing-state polling to date. The drop is punctuated by notably weak 2016 performances from Hillary Clinton and Joe Biden. Though it may not feel like it, we're rapidly approaching the one year anniversary of the painfully close presidential election that wasn't; a contest who's much-hyped competitiveness failed to match its anticlimactic 51-47% result. Its been nearly a year since ratings-hungry pundits and wishful Republicans were surprised to learn that, prior election results aside, Americans liked the job the President was doing (54% vs. 45%, to be exact), primarily blamed his predecessor for the disastrous economy (53% vs. 38%), and believed economic conditions were improving rather than worsening (39% vs. 30%). So as we approach the Fall of his 5th year in office, how is the President holding up? The answer depends, at least from a regional standpoint. Fortunately, Quinnipiac has been in the field in swing-states across the country on a number of occasions so far this year for 2014 and 2016 election purposes, allowing us a glimpse at both the President and his potential successor's standing. And according to their findings, Barack Obama has held up well in East Coast swing-states (Virginia, Florida, and Pennsylvania), especially since the May 2013 IRS/NRA fall-out, while falling precipitously in the West and Midwest (Colorado, Iowa, and Ohio). 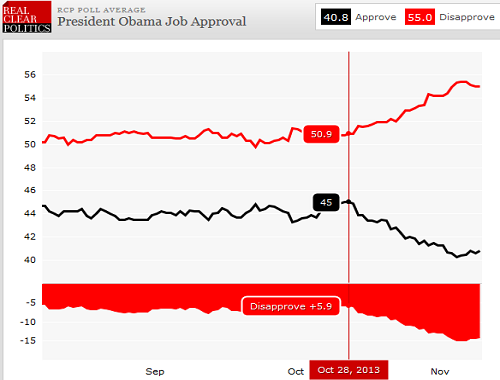 The difference in Obama's approval rating in East Coast vs. West/Midwest swing-states is unmistakable. 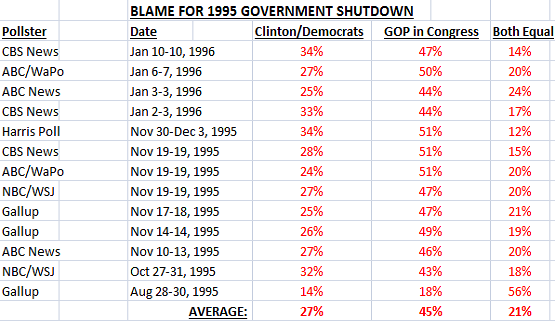 His approval rating in the 3 East Coast states surveyed by Quinnipiac is roughly par (48/48%) with his winning margin in those states (51-48%). 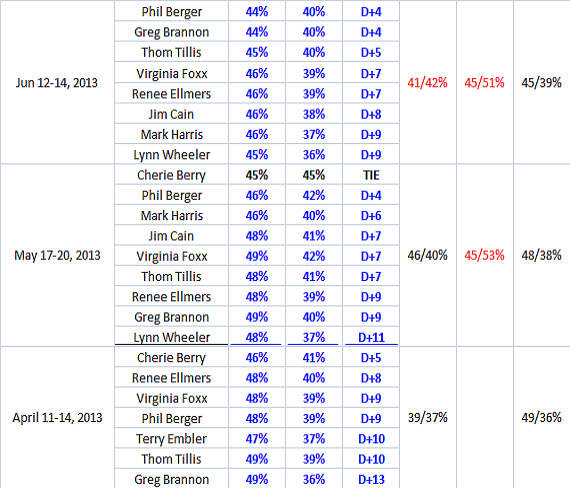 Christie is still by-far the favorite in the New Jersey Governor's race. But unfortunately for him, pundits are expecting more than just a win. And Monmouth University suggests Buono is making gains. Photo features Christie and Buono's faces cut into a corn field in Chester, NJ. Courtesy of the A.P. For the first time in the 2013 New Jersey Governor's race, and with just over two months left in the campaign, Governor Christie has hit his first polling snag. 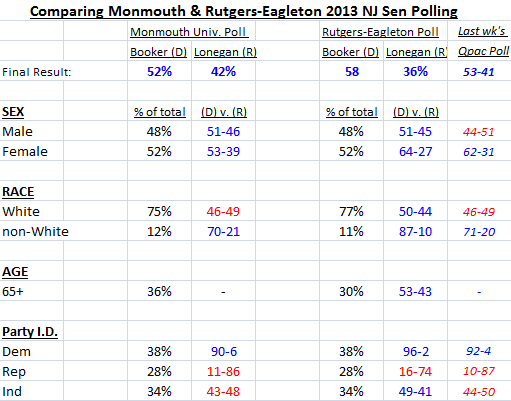 Monmouth University, a frequent pollster of various statewide New Jersey races, finds Democratic gubernatorial challenger Barbara Buono getting dangerously close to 40% of the vote, by far her largest share in any poll taken to date, and by a fair margin at that. Her 36% vote share is 5 points higher than her previous record set in June of 31%, again in a Monmouth poll. 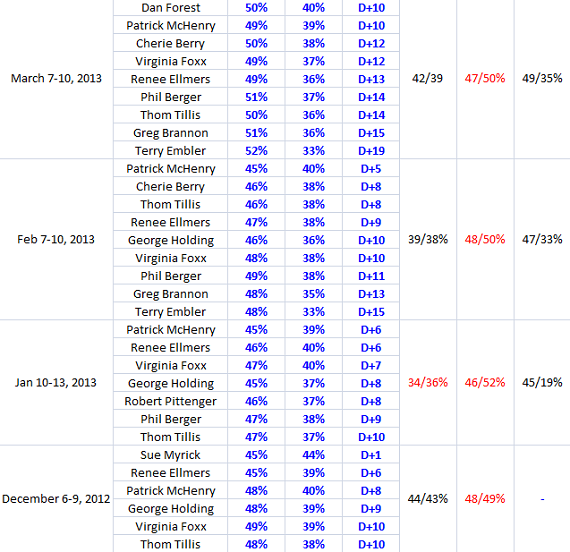 Chris Christie has dropped to 56% of the vote, also his lowest share to date, having hit 57% previously in a June Fairleigh Dickinson survey. So exactly how can the fact that Christie leads Buono in a blue state by a 56-36% margin be labeled a "snag," or any other negative term? 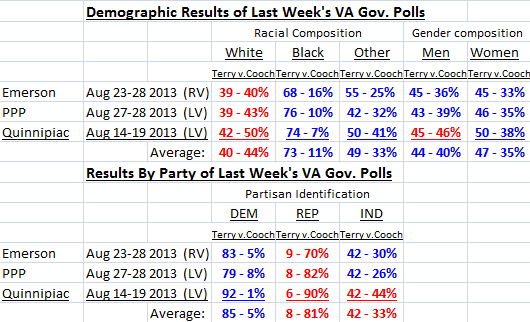 Well, because when compared to Christie's polling so far in the Governor's race, it is a snag. (*) indicates a pollster defined that particular demographic or partisan characteristic differently from the percentages without a (*). 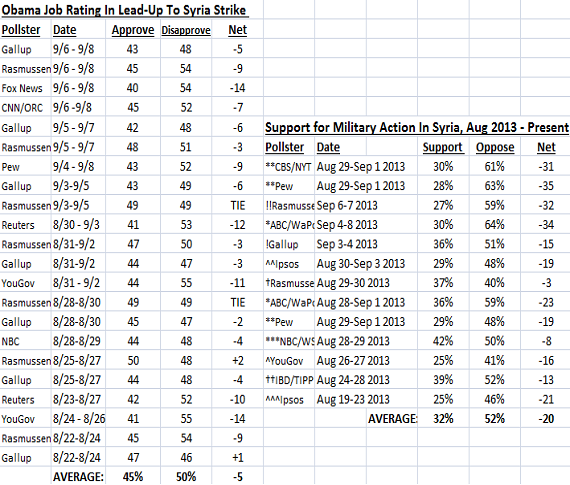 Compiled from RCP, Huffington Post Pollster, & Argo Journal. 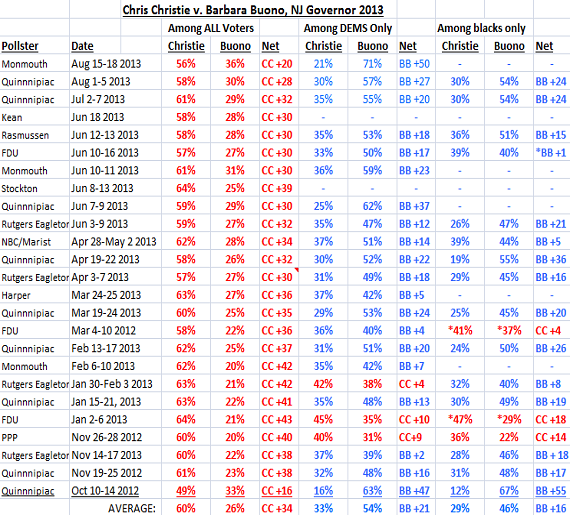 The six columns from the right of the chart above tell us why Christie's standing against Buono has dropped a net 10 points in two months. A crucial aspect of the Governor's wild popularity in the aftermath of Hurricane Sandy was the extent to which traditionally hostile electoral groups (Democrats, African Americans, etc) rallied behind the Republican head of the state. 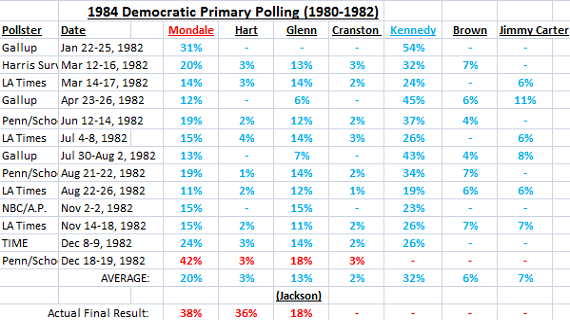 There are only so many Republicans in New Jersey, and you don't obtain 40 point leads against your opponent without a fair amount of cross-over support. 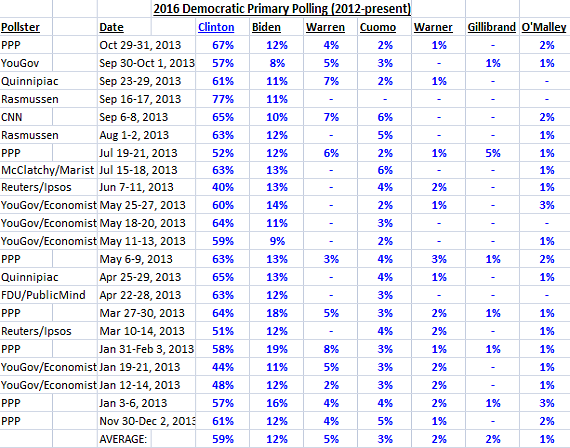 In fact, as the Monmouth poll from February notes, Christie ran nearly even with Buono at one point...among DEMOCRATS. He also led Buono among Democrats AND African Americans in Farleigh Dickenson, Rutgers Eagleton, and PPP surveys from earlier this year. 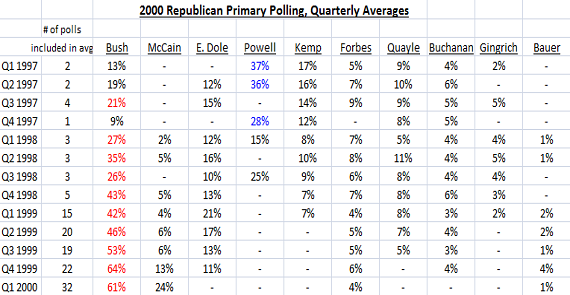 Quinnipiac University's polling not only positioned Gov. John Kasich (R-Ohio) well for his 2014 re-election bid, but made him an ideal 2016 candidate - a popular governor from the most highly sought-after electoral prize in the country. But PPP poured cold water on that notion Tuesday. Photo courtesy of Daniel Acker/Bloomberg. 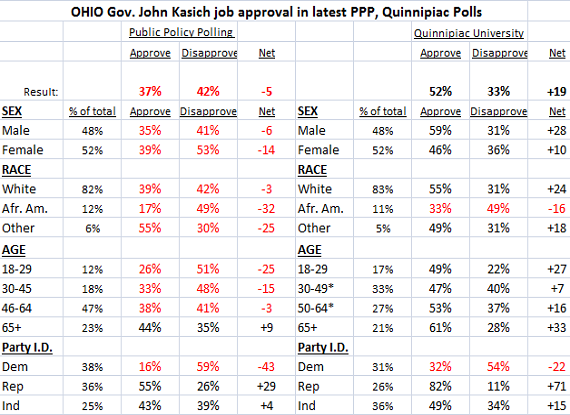 Public Policy Polling and Quinnipiac University are apparently butting heads again, this time in Ohio. New survey findings on Ohio voters' attitudes towards their Governor and the 2014 Governor's race allow for only one of two conclusions: (1) either something near cataclysmic is taking place on the ground to cause Governor John Kasich's (R) job approval ratings & 2014 standing to tank, or (2) a couple of prolific polling firms are missing the mark in measuring Ohio public opinion. 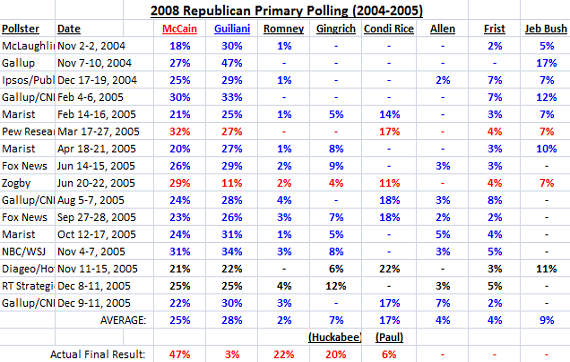 For recent observers of local Ohio political polling and current events, it seemed as though we had stepped back in time, 2011-12 to be exact. Then, Governor John Kasich was struggling with the aftermath of prolonged high unemployment, an unpopular collective bargaining bill, and a powerful Obama reelection organization. 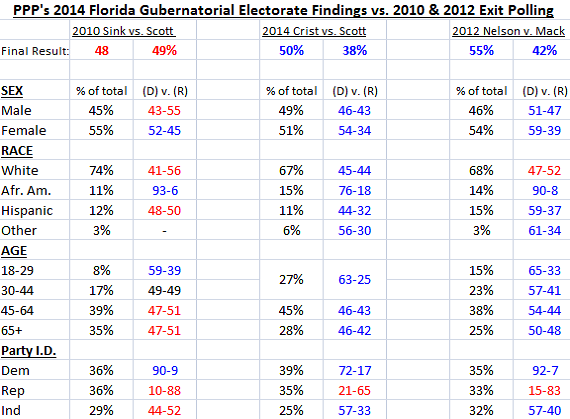 In fact, from the start of Kasich's term in January 2011, through election day 2012, Gov. 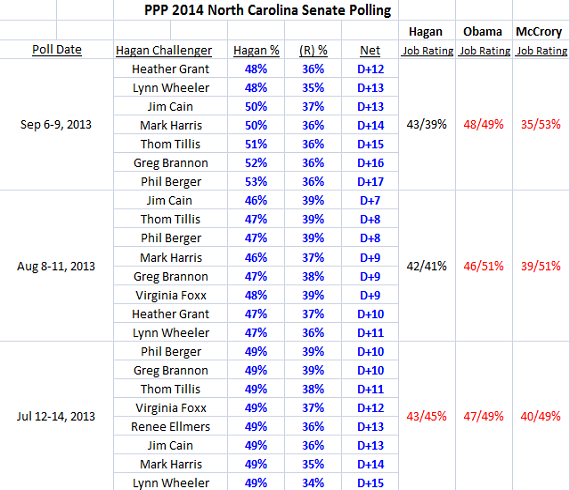 Kasich only averaged a 38/48% job approval rating, per PPP. 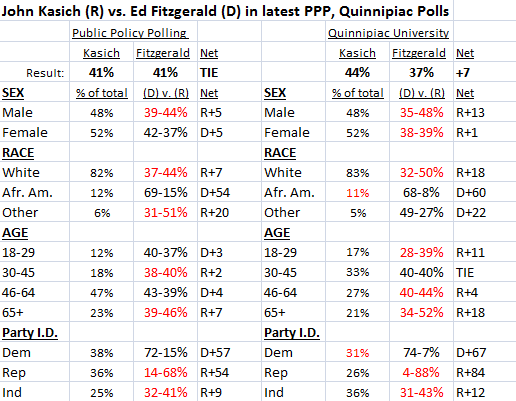 Other polling organizations also caught on to Kasich's abysmal approval numbers, though as usually the case with Republican politicians, to a lesser extent than PPP (he averaged a 40/43% rating with Quinnipiac during the same time period). But starting in the fall of 2012, before the presidential election was held, most pollsters found Kasich's Administration experiencing a public opinion recovery. In fact, between the 2012 Republican National Convention and election day, an average of 12 non-PPP Ohio surveys from Quinnipiac, Rasmussen, University of Cincinnati, and Fox News found Gov. Kasich with a healthy 51/38% job approval rating. 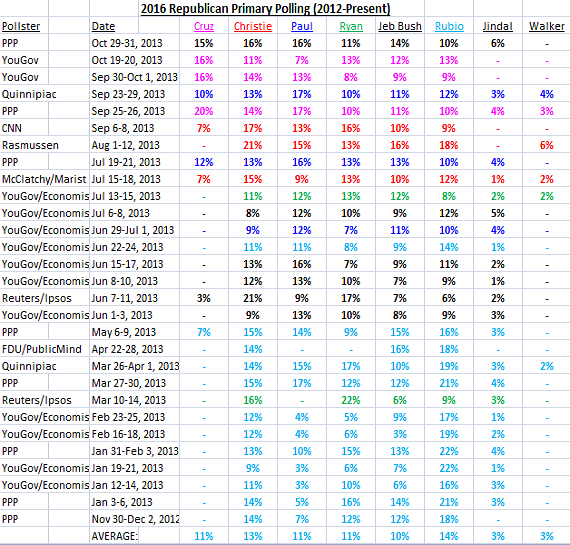 An average of 4 PPP surveys from the same period found Kasich with an average 43/41% rating.